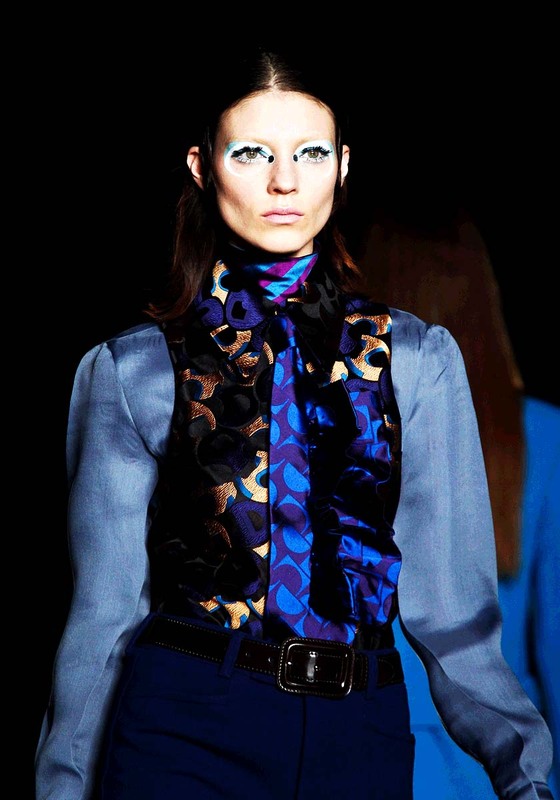 There are three elements that stroke me most of the Miu Miu Fall winter show. The first is the doctor bag that I really like I think it is a timeless bag, yes a little masculine but she made it the right size in the right colors, I think it has “it” potential. The we have the make up, I think of all the Paris Fall Winter 2012 presentations she had the coolest make up, really artistic and original. 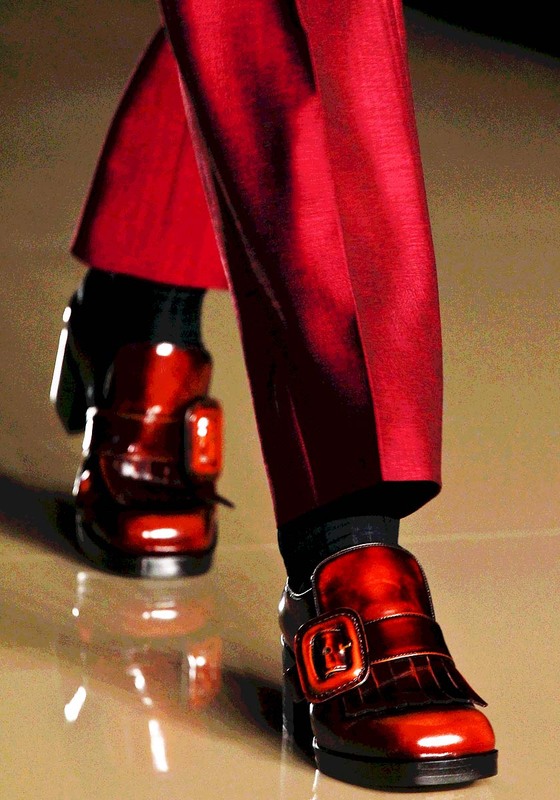 lastly, I don’t like so much but I am seeing a trend, it is the Leperchaun shoe. Marc Jacobs wore them with his long pink polo dress, he made his own version for the Marc Jacobs collection in New York and now Miuccia has added them to Miu Miu. We will see what it gives I will follow closely on the following fashion weeks. 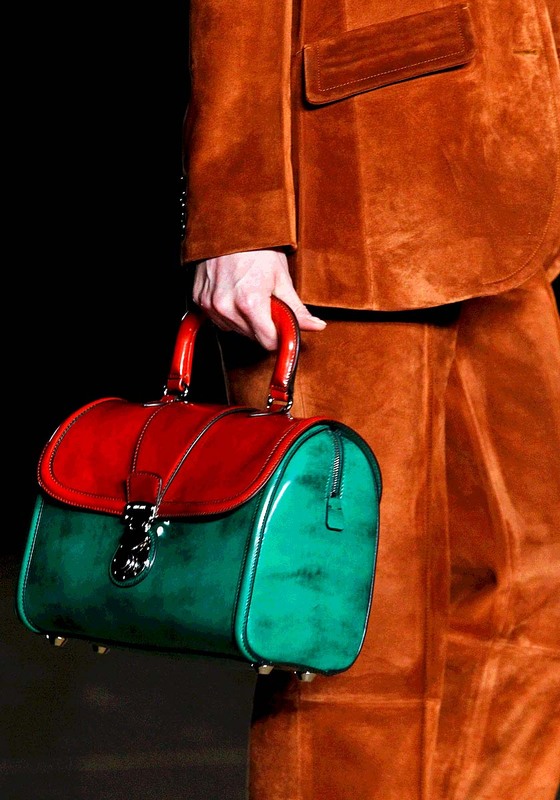 As for the collection I felt it really was a Prada Bis line, not like other times when it is simply different. Prints, tailored pant suits, different color combinations and platform shoes. Not exceptional, I insist on my way of thinking yes it is nice , but there are some talents that are not still big as Miu Miu, but have more innovative, nice things to offer (Mario Schwab, Aquilano-Rimondi, Erdem). For you to judge, in the meanwhile star meditating on the Leperchaun shoes :).